Poems, Quotes and Short Stories - Navneet Singh Chauhan: New Computing Revolution (Tablet Revolution). - It's Time to TAB. New Computing Revolution (Tablet Revolution). - It's Time to TAB. We are under going New Revolution in our country in our fight against corruption and we have already achieved some success by passing the resolution in assembly. But are you aware about New Computing Revolution? 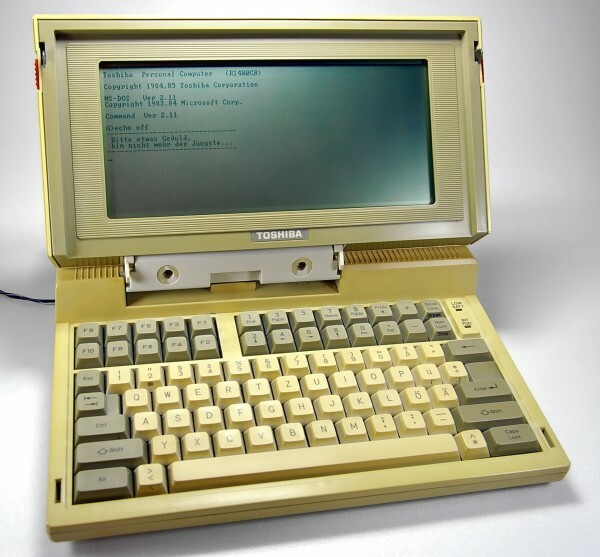 Years back someone asked How about having a mobile computing device? Few Years back someone asked How about having a device between Smartphone and Laptop? Which gave birth to Apple Ipad in April 2010, followed by Samsung Galaxy Tab and recently few more players. India is not behind in this revolution and we have already entered the tab revolution with Launch of Samsung Galaxy Tab in India. First what is a Tablet ? As Wikipedia defines A tablet computer, or simply tablet, is a complete mobile computer, larger than a mobile phone or personal digital assistant, integrated into a flat touch screen and primarily operated by touching the screen. It often uses an onscreen virtual keyboard or a digital pen rather than a physical keyboard. We have already welcomed Touchscreen smart phones. They are great to use and are reliable. It is also very user friendly. Keypads are out of fashion on mobile phone's (check this poll by Samsung Mobile - Touch Screen Vs. QWERTY Keyboard) and I guess will be soon out of fashion's even on Laptop's by the introduction of tablets. Also Recently Google Android has become quite popular as it is one of the best mobile operating systems which has shocked Microsoft and troubled Symbian. Android being an open source is a vast sea of applications. These apps are one big reason behind it's success. Also apps are considered more user friendly then web browsing (check the Nielsen findings in this regard on Android Users). Apps offer better experiences and faster navigation. Also the operating system have many more things to offer specially streamlined Google products like Google Documents, Google Earth, Maps, Gtalk, Google Documents, Google Calender and new Google Plus and so on. Powerful tabs like Samsung Galaxy Tab 750 being powered by revolutionary features like powerful processors, better resolution, touchscreen and support for Flash and above all powered by Android OS like Honeycomb have caliber to bring this revolution. Here is a Question I am asking to everyone on Facebook. Can Tablets replace Laptops? (click on question to answer). Current stats - Total Votes 50. 26 Says Yes Tablets can replace Laptops. 17 Says NO and 7 are not sure (can't say). Also check this YouTube video to realize the power of a tablet. Tablets are also going to make great revolution in Indian Education System. Apart from powerful tablets privately sold by Samsung and Apple there are also government offerings. Did you heard about Sakshat? Sakshat (Sanskrit: साक्षात् "Embodiment") is a tablet computer designed in India as a low cost but full functioning device in order to attempt to bridge the digital divide. The original prototype unveiled in 2009 for $10, and the new prototype, at about $35 unveiled in 2010 has been met with enthusiasm. The device has been developed as part of the National Mission on Education through Information and Communication Technology that aims to link 25,000 colleges and 400 universities on the subcontinent in an e-learning program via an existing Sakshat portal. This Tablet which is one of the cheapest tablet in the world developed by Indian Institute of Science and Indian Institute of Technology, Rajasthan will be offered to students and it will be heavily funded by Government of India. It is expected to change the face of Indian Education System. Also Youths are more Technology enthusiastic so their chances of adoption to Tablets is much more higher. Also tablets are easy to carry and comfortable to read on. Gaming features are amazing so expect youth's to go mad about it. Tablets have already revolutionized few Business houses and have further caliber to revolutionize the business world and the Industry. Tablets can bring Savings and Efficiency in organizations. Tablets are much more easy to carry then a laptop. It doesn't need a full fledged laptop carry bag. It can easily get inside in your existing bag. The number of pages for a meeting packet averages between 200 to 400 pages and once the meeting is over these papers are usually shredded. To save paper and the hassle of carrying packages, arrangements can be made to receive most government documents and other documents electronically on these tablets and hence savings. The savings in ink, printing and shredding time also should be considered as savings. Also Tablets can bring great amount of efficiency in employee's and can significantly reduce the communication gaps. No need to send out meeting paper notifications and documents etc. just a simple email can replace all this cost, if everyone expected to attempt meeting has got a tablet. Also this will be more Eco friendly approach as we will be saving paper hence we can contribute to better Greener Environment. Last year 17 million tablet computers were sold around the world - a 2011 Research and Market press release stated and it is expected to grow this year to about 70 million units worldwide, according to a Jefferies Research and Analysis tablet forecast. So these all things are indicating a Tablet Revolution ahead and sooner or later we will be saying good bye to Laptops. May I go little Personal? Personally My Favorite Tablet is Samsung Galaxy Tab 750. Because it has got too many good features. It's slimmest tablet in the world. It's design is awesome. Screen Resolution is too good and yeah it supports Flash hence better browsing. It has got faster Processor and speeds upto 21 Mbps both on HSPA and wifi. Much better gaming console as it supports multiple touch and Multitasking is also too good. Out of these many features if you ask me which one is the best you liked? The Gaming Console is too good and addictive. The Screen Movement is very fluid and it's touchscreen can't get better. Zoom in and Zoom out is very sensitive and works perfect. I think a Video will be much better thing to explain. Do check this video Review of Samsung Galaxy Tab Gaming. NOTE: This post is written as a part of Samsung and Indiblogger contest. If you are an Indiblogger then kindly promote this post on Indiblogger by visiting New Computing Revolution Posted by Navneet on Indiblogger. 5. Launch of Samsung Galaxy Tab in India. Those Who missed Launch event of Samsung Galaxy Tab can see the recorded webcast below. Hope you enjoyed reading the post and are little more informed now. I will really appreciate if you can leave a comment / suggestion / feedback behind. your comparison between laptop and tablet is good. hope you are writing this for the contest. did you include launch video of tab in your post. include it if you did not. Thanks Gowardhan ji for leaving a comment behind. And Thanks for the suggestion. I have just added the launch video, I had not put it previously because I have promoted the launch webcast before. But still will not take the risk so i have put it. I really enjoyed reading and knowing something new. I now know something more about Tablet after reading your post. I have also answered the question you had asked Can Tablets replace Laptops? with YES. And yeah this Samsung Galaxy Tab 750 is awesome. Thanks a lot eCommerce Website Design. I am glad that you loved it and voted on the question. I like the way you shared stats and figures. That’s a cool analysis. This is indeed something that will be interesting to watch over time.Good to hear, great minds :) Look forward to reading it. Good luck with the challenge. Hope you guys both make your goals!